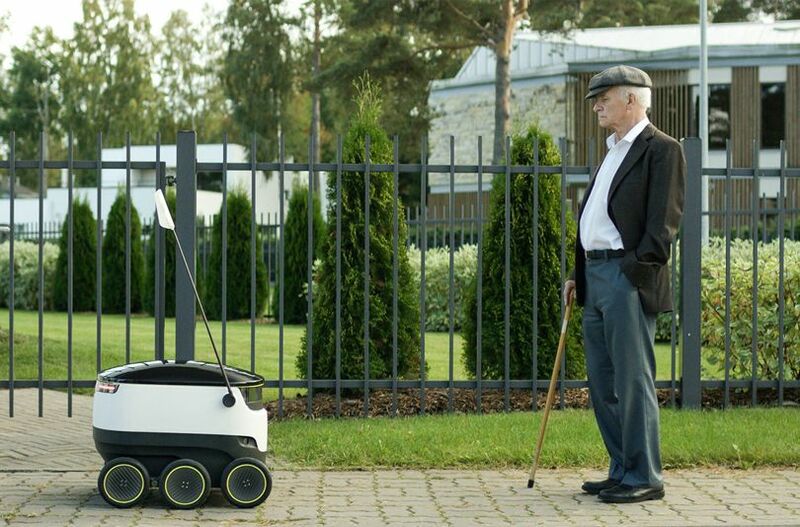 Watch out for cute little robot delivery vehicles around London soon. They will be off on their mission to deliver fast food to customers across the capital – robots are the latest lifestyle change in everyday life. If you’re feeling a bit peckish as one rolls past – sorry, you’ll need to order your own meal – they’re locked and won’t open until the customer that coughed up the cash for their order inputs their unique code. As well as fast food they can carry a couple of bags of shopping so you could get the local shop to deliver too. If you’re travelling around Europe you might see them in Dusseldorf and Bern too. The Starship company has signed up to deliver fast food for Just Eat, packages for Hermes couriers and German retailer group Metro as well as the London food start up Pronto. Europe are leading the world on these practical little robots – and they don’t look like C3PO, although there’s a distant resemblance to R2D2, but much smaller and simpler in shape. Each unit will deliver up to 3 miles from its home base and is fitted out with GPS and a video camera. Once they’ve had their instructions programmed in, they just get on with the job and trundle off to arrive with their cargo at the specific time requested. The robots are a step ahead of the much talked about drone delivery service and customers seem to prefer them. There’s still too many concerns about drones flying around highly populated areas. We think robots are an excellent idea – there’ll always be a need for people to monitor and fix them. Of course, eventually there may be robots who could do those jobs, but when robots start fixing themselves it will be the end of the world!